2. we supply 2 years guarantee. 3. Highly endurable, and hardly twisting and bending accordingly. 4. Relatively light and easily setup in the gym. 5. No noise during training's because continuous inflation is not required. 6. Because of good air tightness, after inflatable full the mat can be maintained for 7-8 months. 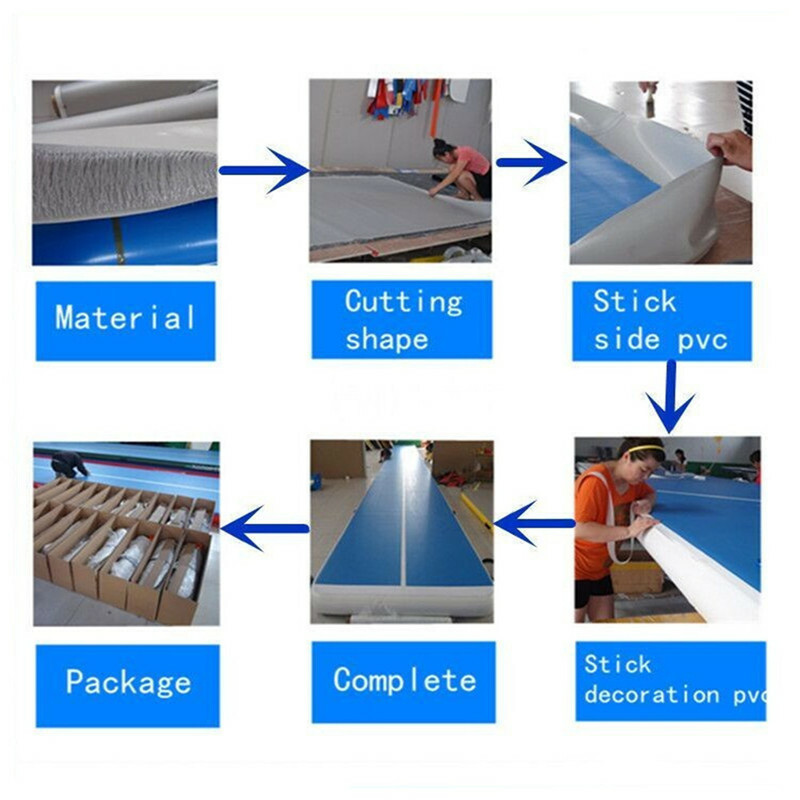 Inflatable air track is made by durable PVC tarpaulin which is waterproof,high strength and high density.It's easy on the body at low pressure, but comes close to a spring floor at higher pressures. It was used widely in indoor and outdoor all around the world for both adult and kids.The air track is therefore not only suitable for recreational groups, but also for higher level gymnasts .It can be inflated/deflated . One of the buyers once used a gymnastic mat to do an experiment. He jumped from a height and fell on our gymnastics mat. It was not injured at all! 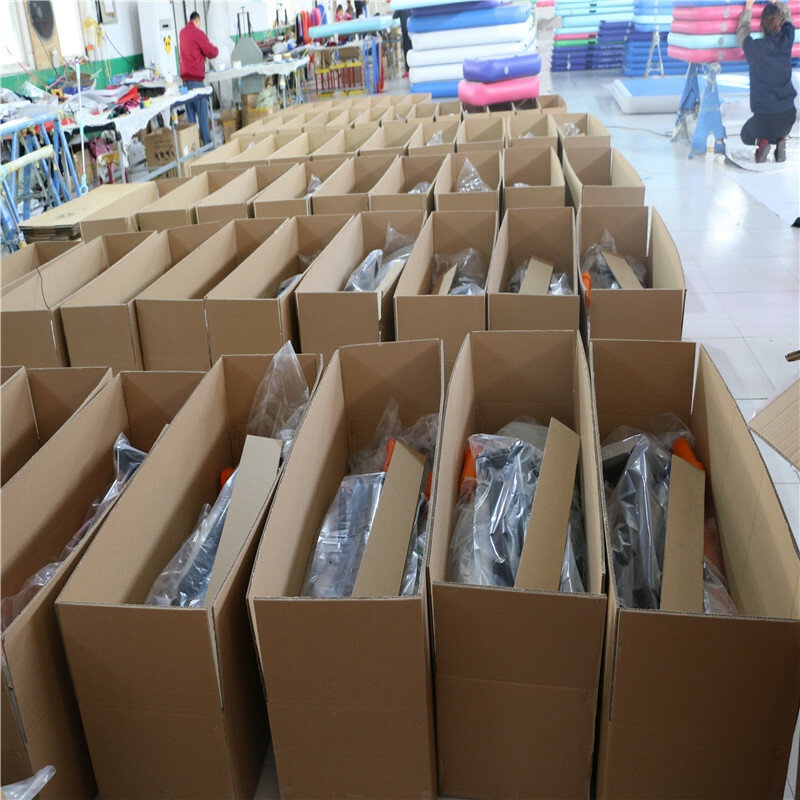 The quality of our gymnastics mat is really good and it has a good protection. Our gymnastic mats are strong and durable, and can do a lot of difficult movements on gymnastic mats. There is no problem at all.